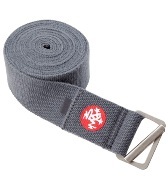 This Manduka AligN 10' Yoga Strap is a high-performance strap inspired by the classic design of B.K.S. Iyengar. 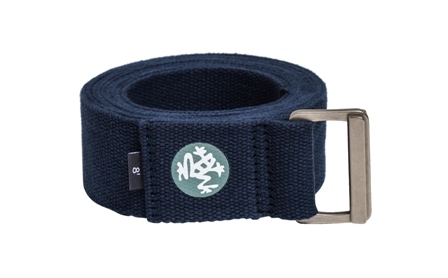 With a lightweight alloy and a secure, interlocking buckle, this strap ensures secure support. Lightweight metal alloy, interlocking buckle. Bucked has middle-bar design for security. Modeled after original design by B.K.S. Iyengar.